Hanoi (VNA) – Oxfam Vietnam, in collaboration with its partners, held a workshop in Hanoi on March 27 to share experience in enforcing the Law on Access to Information. Nguyen Quynh Lien from the Ministry of Justice’s Department of Criminal – Administrative Legislation said the law was approved by the Vietnamese National Assembly in 2016, and came into effect from July 1, 2018. 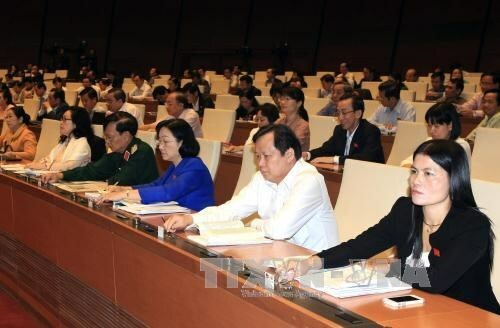 After the approval, the Government promulgated a plan on the enforcement of the law, and Prime Minister Nguyen Xuan Phuc issued a directive on this issue, assigning State agencies from the central to local level to ensure its enforcement, Lien added. Delivering a preliminary report on the enforcement of the law, Ngo Thu Ha, a representative from Oxfam Vietnam, stated that since the law was adopted, many State agencies have publicised sources of information. Several localities such as Ha Giang, Quang Binh and Da Nang city issued their plans to enforce the law. However, the report pointed to some challenges, as several offices at the district and commune levels have not created e-portals yet, making it difficult for citizens to access information. Meanwhile, headquarters and websites of several State agencies have yet to be offer access to the disabled. Most agencies are publicising and providing information as regulated in such specialised laws as the Land Law, the Law on Water Resource, the Law on State Budget, the Mineral Law and the Law on Natural Resources and Environment, but do not offer information publicity as required by the Law on Access to Information, Ha stressed.